Martin Dennis Curley, age 77, of Hamilton County, IN passed away November 30, 3017 at Tucson, Arizona. He was born July 2, 1940 at Muncie, IN to John Dennis and Doris Gertrude (Richardson) Curley. 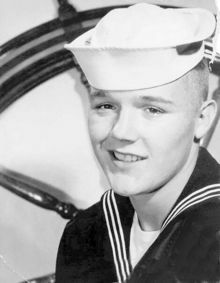 Post high school he proudly served his country in the U.S. Coast Guard and was a member of the American Legion. He was the founder and past president of Curley Building Materials now located at Carmel, IN. Martin was very involved with several charities involving the children of the City of Melaque in Jalisco, Mexico for the past 45 years. He married Betty May (Wood) Curley at New Bedford, Massachusetts who survives him. Also surviving are sons: Darren Curley, Martin (Duffy) Curley, daughters: Deanna (Bob) Rushforth, and Michelle (Mark) Landwehr, 8 grandchildren, 5 great-grandchildren, and two very special chihuahuas. Additional survivors include brothers: Patrick, Michael and Thomas, sisters: Karen Blankenbaker, Mary Lyman, Margaret Curley, Jane Curley, Joan Ward, and Kathleen Curley. In addition to his parents, he was preceded in death by brothers: John and James and a sister Elizabeth Curley. Funeral services will be held at 11:00 A.M. Friday, December 8, 2017 at Bethel Lutheran Church, 20650 Cumberland Road, Noblesville, IN 46060, with Pastor Douglas Gast officiating. Burial will follow at the Cicero Cemetery. Visitation will be from 4:00 to 7:00 Thursday, also at the Church. Memorial contributions may be made to the Wounded Warrior Project, P.O. Box 758541, Topeka, KS 66675-8541. Arrangements are entrusted to Hartley Funeral Homes where you may send condolences as www.hartleyfuneralhomes.com. Add Photos, Videos, Music that tell the story of Martin's life.